DHC is a Japanese skincare and makeup brand with some amazing products that have quite a loyal following online. The DHC Deep Cleansing Oil is a favorite of mine as are their Olive Virgin Oil Swabs (conveniently packaged cotton swabs presoaked in makeup remover). I hadn't paid much attention to their makeup line, though, until I heard Lisa Eldridge gush over a DHC mascara in one of her videos. DHC doesn't have a huge makeup line (at least here in the US), just a few basic makeup products in each category. Their makeup philosophy seems to focus on a clean, polished makeup look utilizing a couple of easy-to-use products. Thanks to the kind folks at DHC, I got to try out a few of their eyeliners, and of course, the mascara that I was so curious about. Scroll on for my thoughts on these. 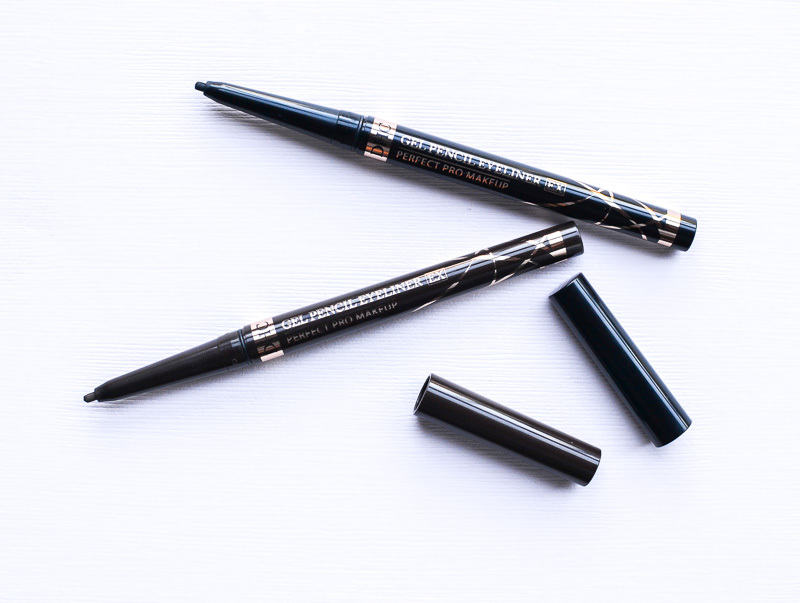 These twist-up eyeliner pencils are quite pigmented and long-lasting. Perfect for using along the lash line and/or the waterline. The pencils aren't super soft, so if you want to use to line along the waterline, it helps to soften/warm the pencil by scribbling on the back of the hand before lining the eyes. This fine-tipped eyeliner pen is great for precise application of eyeliner, whether it's for a graphic winged eyeliner look or to tightline along the roots of the lashes to give a defined look without a harsh black line. The line does rub off easily when wet, but once it gets a chance to dry off, it holds up quite well through the day. It is described as water-resistant and doesn't smudge easily with just water. I do need a makeup remover to remove it completely. The most noticeable thing about this mascara is it's formula. As it dries, the mascara forms a tube around the lash, creating an illusion of longer lashes (because it coats till the very tip of the lashes). It never flakes off or disintegrates even at the end of a long day. To remove, use warm water, and gently smooth the mascara way from the lashes. I can actually see the mascara slide off as tubes rather than dissolving. The tiny wand gets even the hard to reach lashes at the corners, and it does a great job of depositing the product evenly through each lash. The DHC Liquid Eyeliner Pen is my favorite among these products. 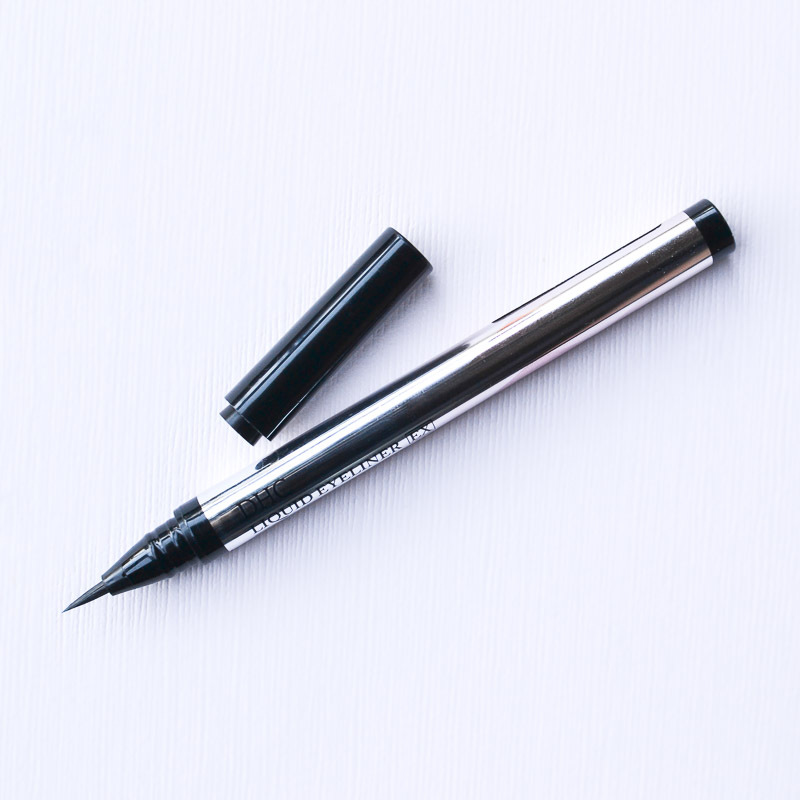 What sets this apart from other liquid eyeliner pens I have tried is the fine-tipped applicator that feels/behaves almost like an eyeliner brush rather than a stiff felt-tipped applicator. Because my eyelids aren't the smoothest, I prefer applying my eyeliner close to the lashes - tightlining than a thick liner - and this precise applicator is fabulous for that purpose. Of course, this also would be great for thicker winged eyeliners, and it also helps that the product is dispensed effortlessly with this pen. There is no need to click or twist anything to dispense the product. The DHC Gel Eyeliner Pencils are convenient twist-up pencils that are the perfect basic eyeliners to have around. 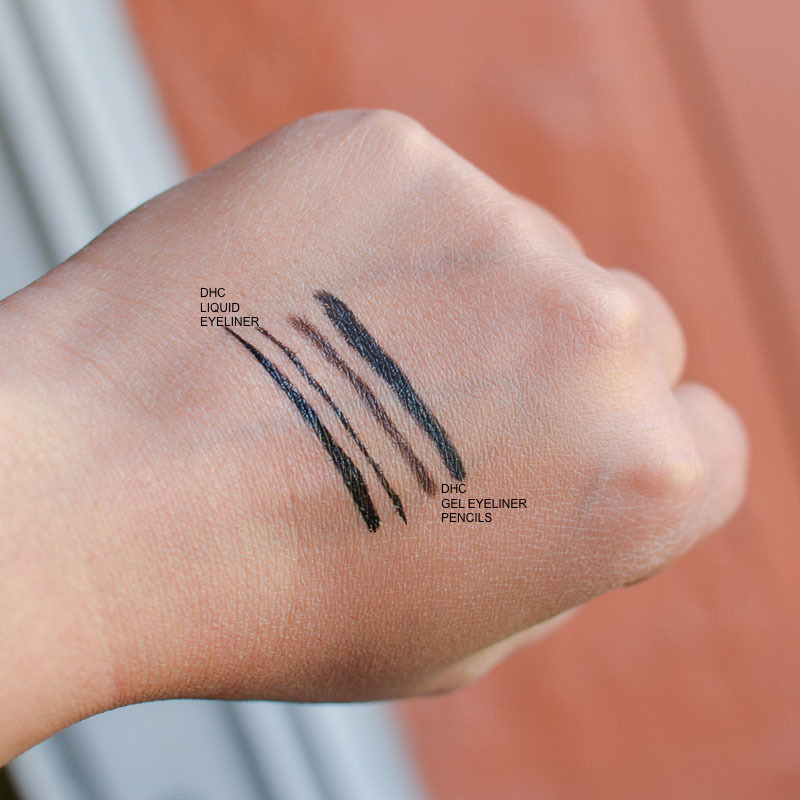 Black and brown are shades I reach for all the time, and I love how pigmented and long-lasting these pencil liners are. 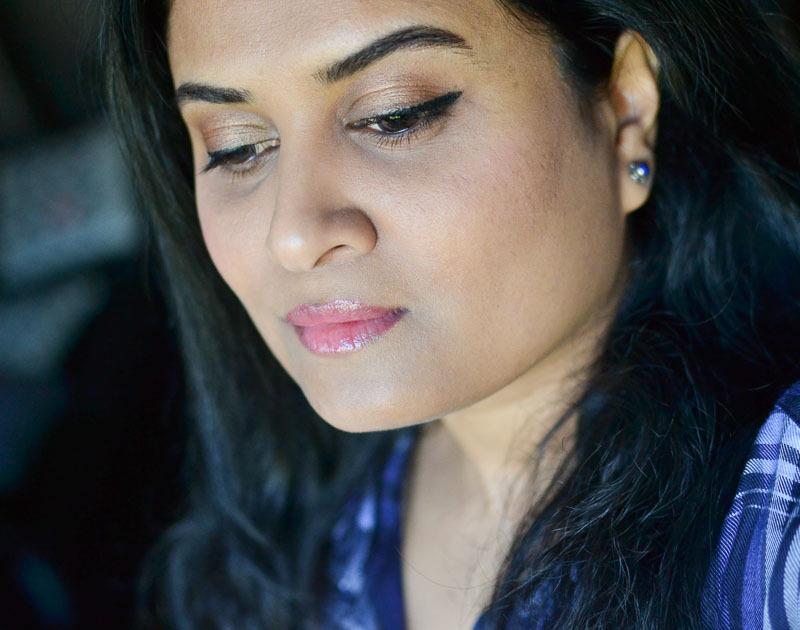 The DHC mascara, I have to admit, I was all ready to fall in love with just because Lisa Eldridge gave it a thumbs up. I have rarely gone wrong with anything she has recommended in her videos. After using this mascara for a while now, I definitely think it lives up the hype. It's a great mascara for those who love lengthening mascaras. The color is a rich black, and the formula coats the lashes without any clumping. The wand does a good job of getting every single lash (I usually find it difficult to reach the corner lashes). 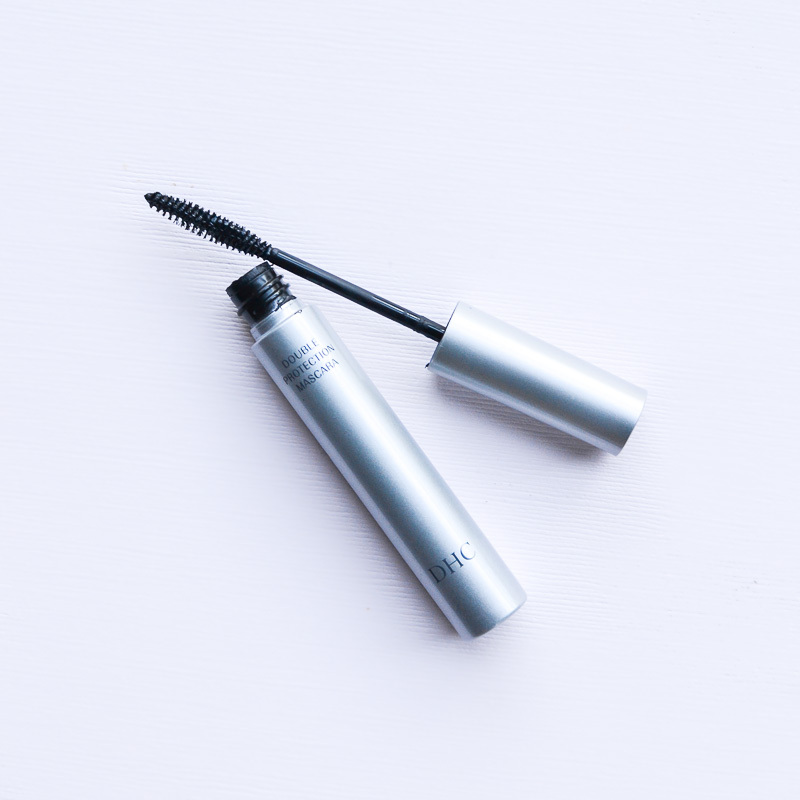 The water-resistant tube technology formula extremely is long-lasting, staying on until I take it off at the end of the day, without a single tiny dry flakey bit floating down from the lashes. 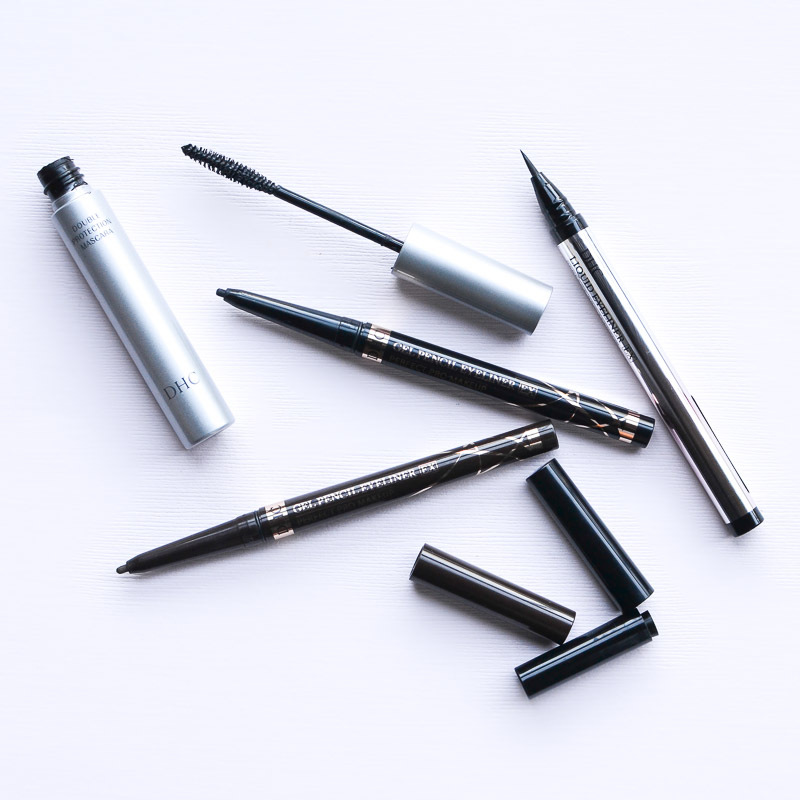 These products from DHC would be great picks whether you like a bold liner look or prefer a more minimalist but polished approach to your makeup routine. Do give them a try - DHC products are available at DHCcare.com and/or on Amazon. DHC products featured in the post were provided c/o DHC.